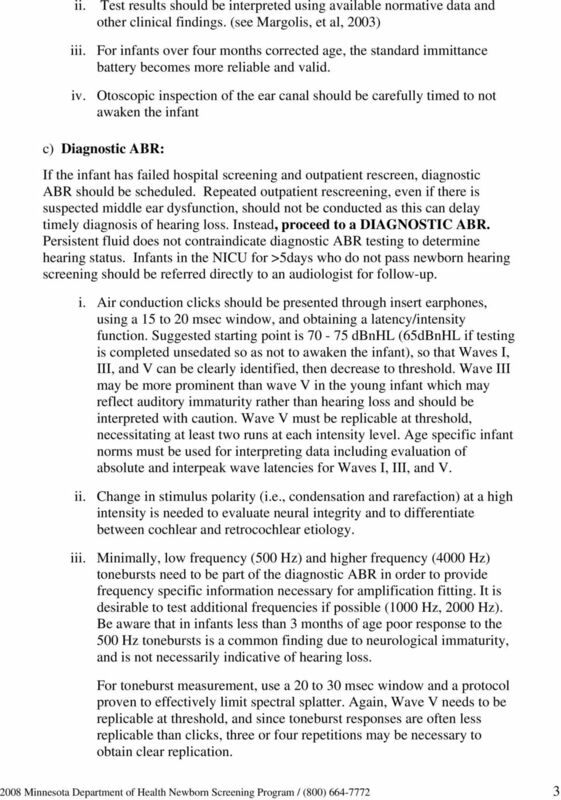 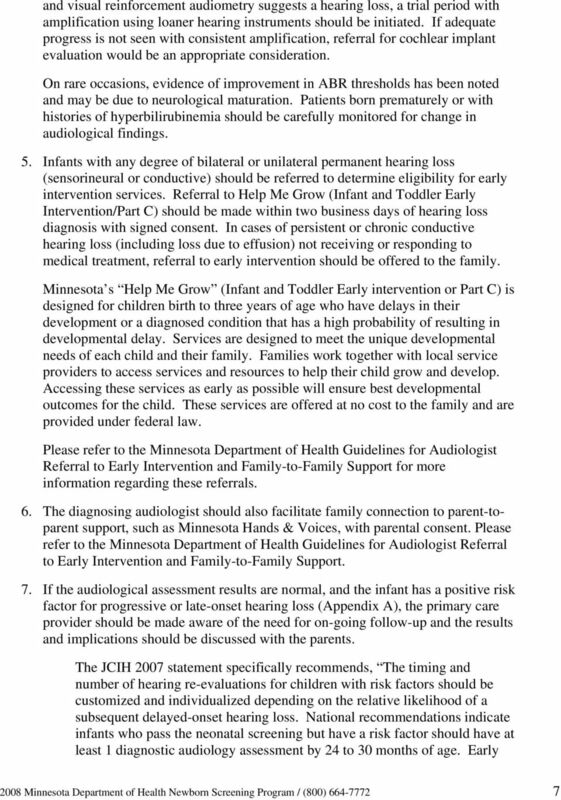 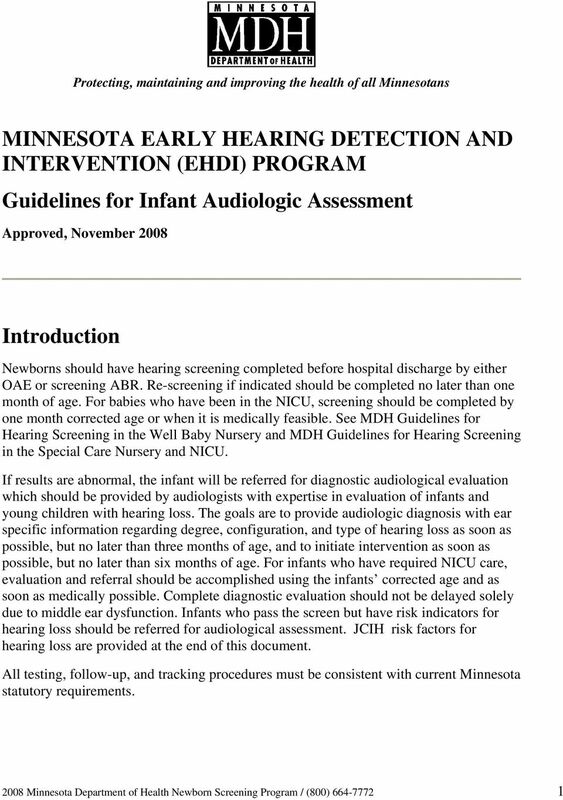 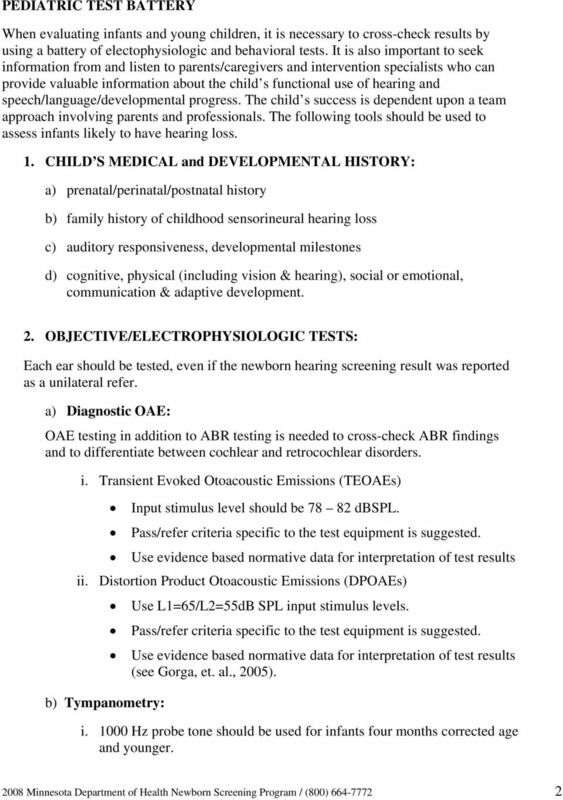 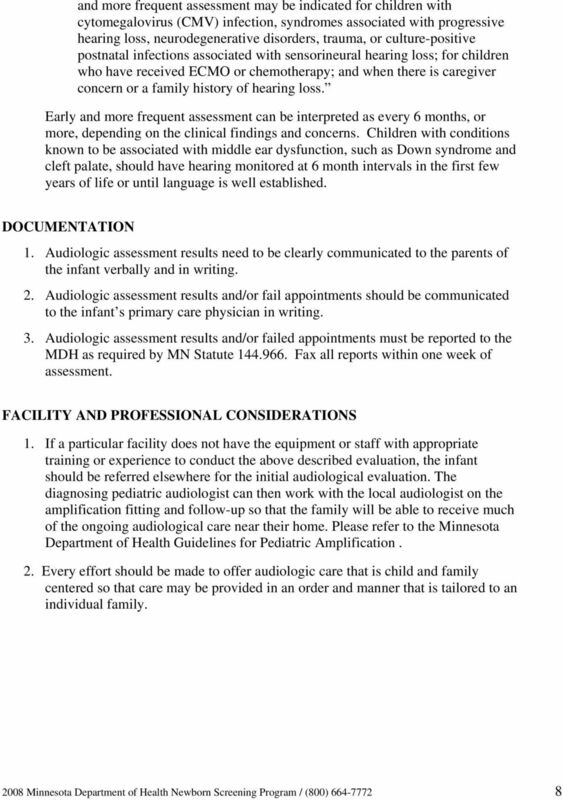 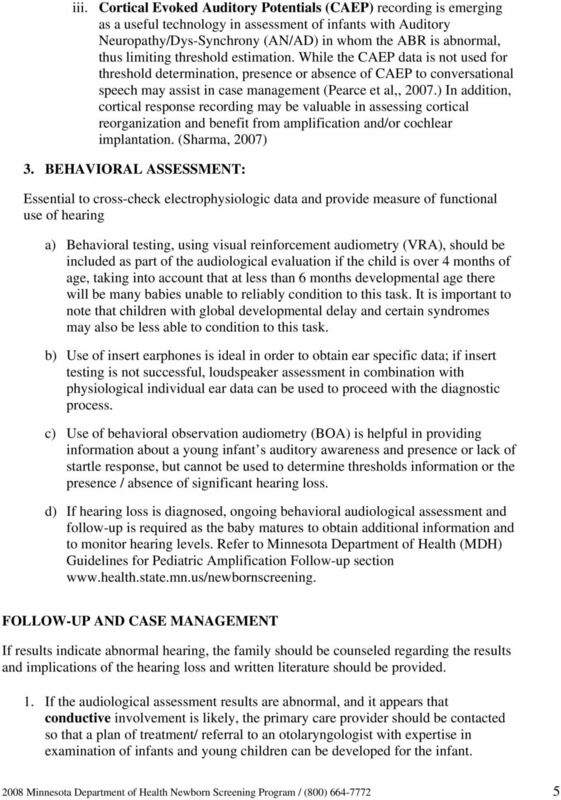 Download "MINNESOTA EARLY HEARING DETECTION AND INTERVENTION (EHDI) PROGRAM Guidelines for Infant Audiologic Assessment"
Guidelines for the early audiological assessment and management of babies referred from the Newborn Hearing Screening Programme. 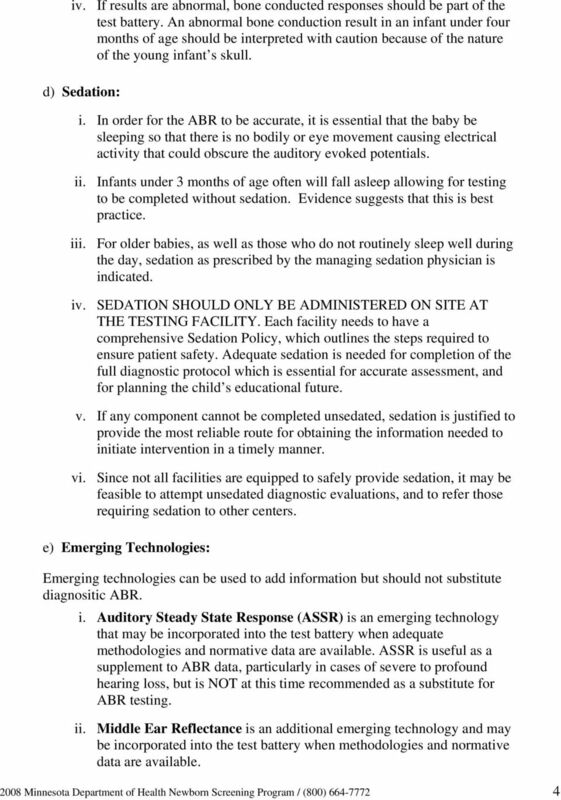 Version 3. 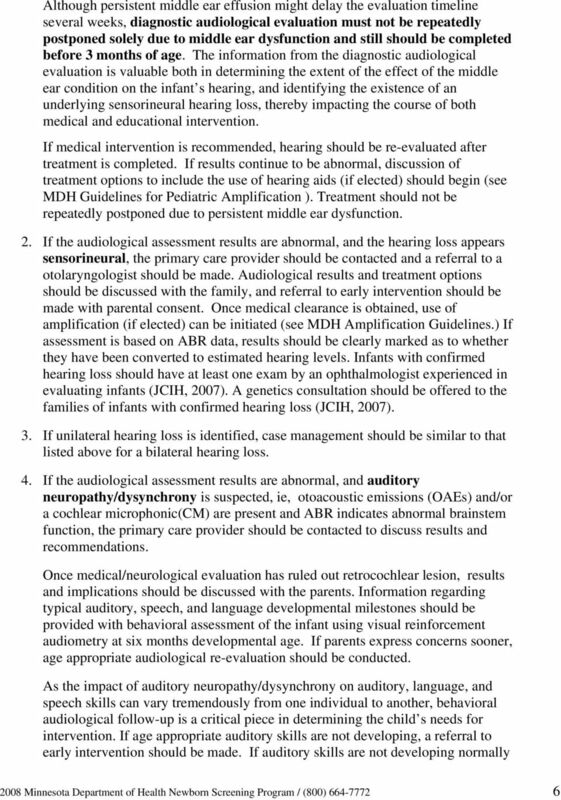 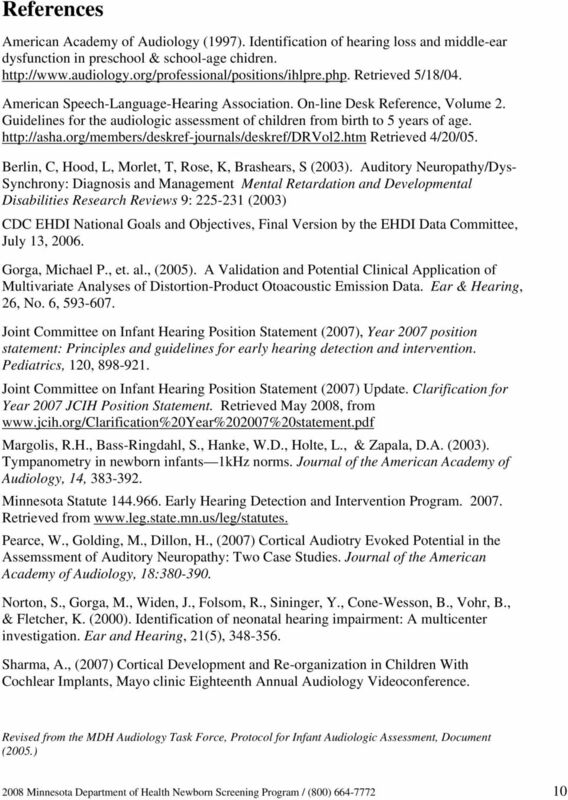 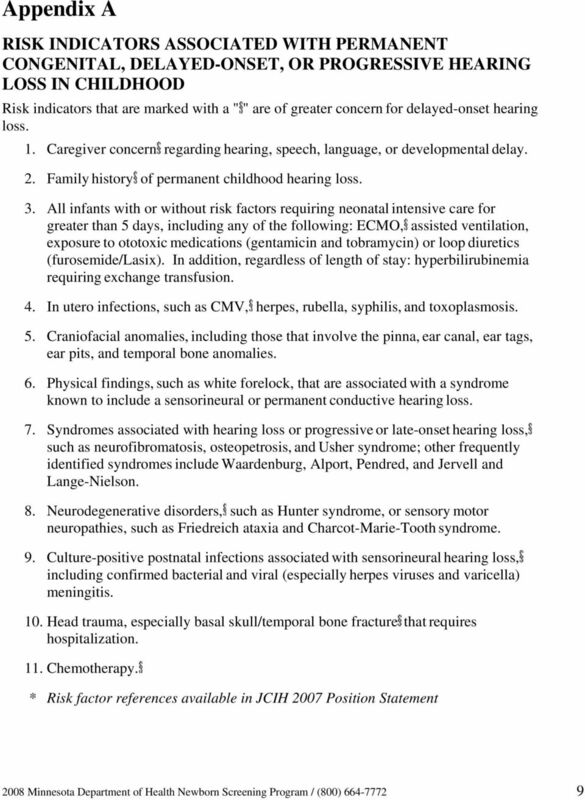 J Am Acad Audiol 12 : 101-112 (2001) Some Issues Relevant to Establishing a Universal Newborn Hearing Screening Program Michael P. Gorga* Kimberly Preissler* Jeff Simmons* Lisa Walker'' Brenda Hoover"